The Wesleyan Society was established to provide annual, ongoing operational funding for the Foundation. The mission of the Wesleyan Society is to provide ongoing leadership support to the Foundation’s annual fundraising efforts, programs, and special initiatives. Gifts received from Wesleyan Society members allow the Alpha Delta Pi Foundation to use our combined resources wherever the need is greatest. 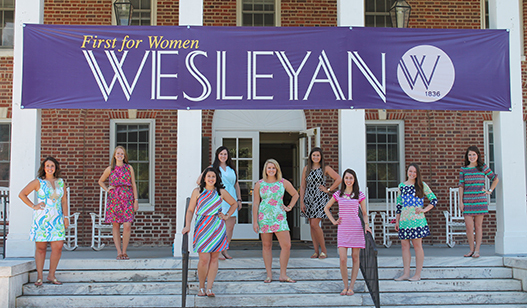 Membership in the Wesleyan Society is open to sisters and friends of Alpha Delta Pi who commit to give $1,851 or more annually in unrestricted support. Many members of the Wesleyan Society opt to fulfill their pledge with monthly gifts of $154.25 through our Electronic Funds Transfer (EFT) program. Make your commitment to join the Wesleyan Society by submitting your enrollment form or by setting up your monthly, quarterly, or recurring annual gift on our recurring gifts page.